Fourth of July festivities took center stage on main streets all across the Commonwealth Wednesday. For the second year, Wilmore’s parade included an entry that created quite a buzz. 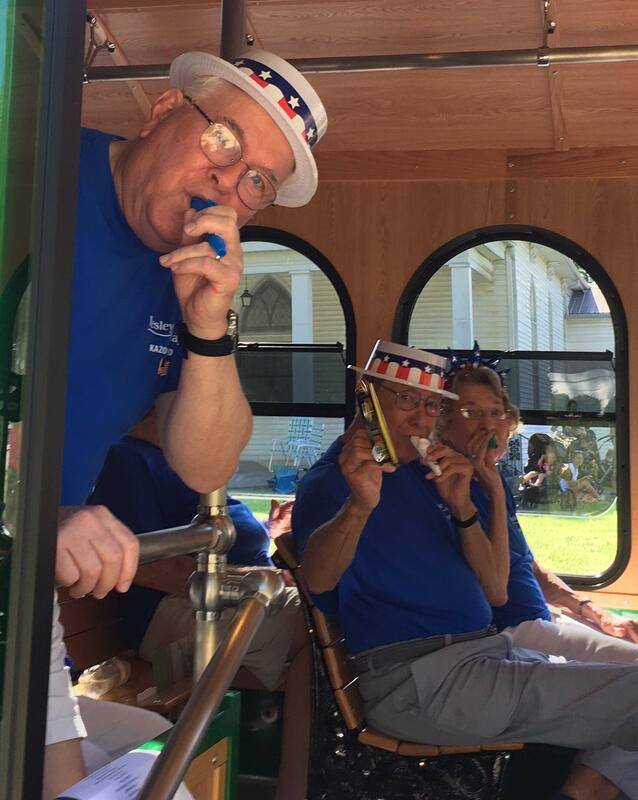 Among the units making it's way down Main Street in the Jessamine County community on the Fourth was the Senior Citizens Kazoo Band. Lots of people sought shade for the mid-morning procession. That included Claire Vance who regularly plays piano at the nearby Wesley Village Retirement Community. Vance says putting a keyboard on the trolley was too much to ask, so a 15 minute CD with patriotic songs was recorded to accompany the kazoo players. “One fella figured out a way to amplify his kazoo. He’s got like a battery thing on his belt. It’s rigged up somehow that he amplifies it. Like that’s all you need is an amplified kazoo,” said Vance. Vance says the kazoo band consist of a variety of instruments including one that looks like a French horn.